I had the ram cup holder on the connie. But fact was that I always wear full face helmets while riding the Connie so I really couldn't use it. 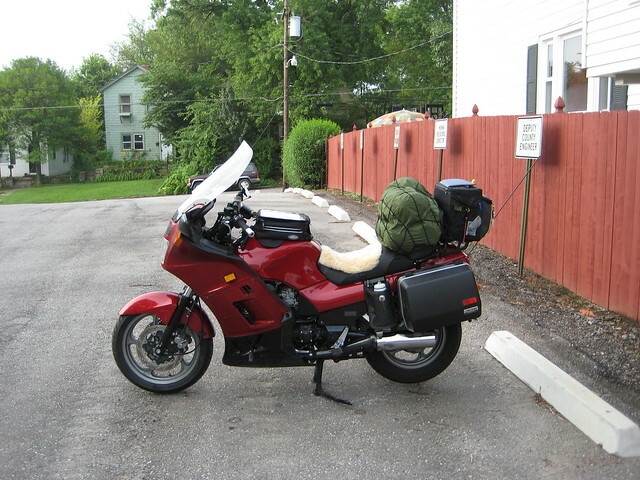 I moved it over to my goldwing and it's handy but rarely used. Because the Concours is a 'Sport' Tourer, it is often involved in vigourous left-right-left banking in twisty turns. So make sure the get the anti-sloshing cup and holder. 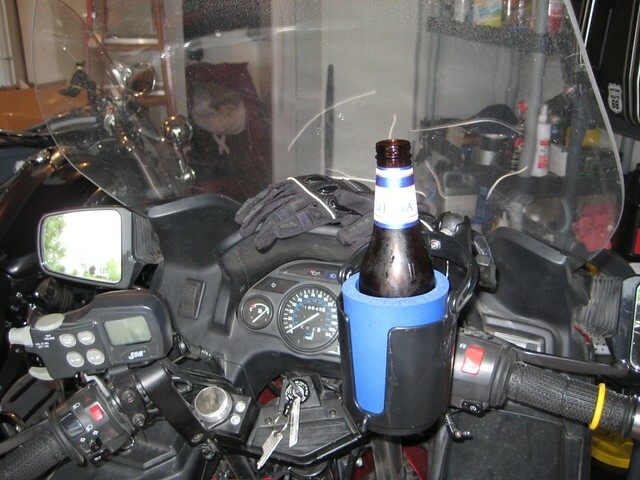 I also had the RAM cup holder on one of my previous bikes. Probably still have it out in the garage. The sideways movement wasn't an issue; it kept the cup upright. 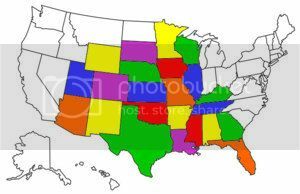 The issue I had was the forward backward movement. I just put some black duct tape on the hinge and that kept things controlled. I had it mainly for just holding my cup while I commuted. On trips though, it was handy to have whatever I was drinking when stopped there in front of me. And with a modular helmet, you can lift up the chin bar and drink while going down the road. In the flat straight empty stretches, it made it easy to drink on my SS1000. Mine is a Kuryakyn cup holder, a little pricey but works very well. I put 32oz cups from various places in it, the foam cups are the best because they keep my iced tea cold longer and don't condensate all over the place. Mine mounted to the clutch perch but I had to trim the rubber grabbers on the inside of the ring a little bit in order for the cup to go inside a little farther. Find an old CB magnetic antenna, remove the circular magnet and glue it to a Koozie. Stick it to the top of the tank and put your drink into the Koozie. Frugal, easily removed. Also had a 1" RAM Ball in the mirror holder. The photo shows a 'maintenance beer' but water bottles worked too. It wasn't the best set up, but it did function. I mounted that through the sidestand lift handle, set it on the passenger foot peg, and then zip tied it around some hard parts. That fake leather/pot metal concho just exudes classiness too!! I mounted a Ram holder in the left, mirror threaded hole. Didn't care for it, bought a Hydration Pack for long rides. I've tried lots of things over the years for hydration on the bike. My focus on this was for long distance riding. Shorter runs, I found my self stopping enough where having access to a 20 oz bottle wasn't needed. --Ram cupholder attached above/in front of left grip: too small. --Camelbak: I ran a 1.5L pack for a few years. The amount was just enough where by the time it was drained, it was time for a stop anyway. Only issue was back discomfort that increased through the ride. --Klim backpack w/3L reservoir: seemed like a good idea at the time, the backpack was fantastic, but it just made the back pain worse (duh). --Shoving the Camelbak or Klim into the tankbag: either had to leave/transfer stuff out of my favorite bag or use a larger bag I have that interfered with the bars when they got close to steering lock. Made parking lot maneuvering interesting. MotoJug hydration system (https://www.facebook.com/MotoJug/). Mounts to rear peg, holds a 1 gallon jug that lasts me the whole day, enough tube to run up to clip on tankbag, and...my biggest question/concern...STAYS COLD ALL DAY. I would still have ice in my jug 24 hours later. A bit spendy, and you have to buy the jug yourself (designed for a simple 1 gallon Coleman jug), but I'm so glad I did it. PO cut holes for speakers. Got lemons? Make lemonade! I've used a Camelback for over 15 years. So much easier and less spillage than a sippy cup or water bottle. Backpack type preferred with the large mouth opening, makes it easy to load up with ice and your fav beverage... water or sports drinks are best. Clip the drink tube to your jacket so the bite valve is close, works for full face as well as modular..